An incredible attention to all of those important details make cakes like these very personal and very special. 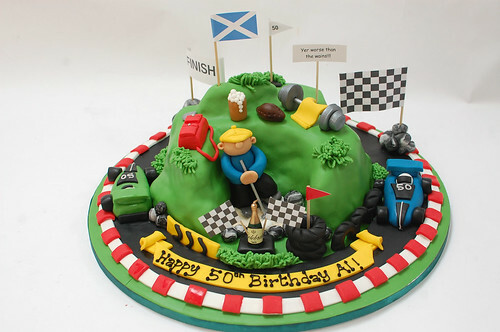 Al’s Hobbies Cake – from £100. Absolutely amazing! Your cakes are awe-inspiring and the details included in this little beauty made a very special day even more so. And what’s more, it is so delicious too. Thank you again for the love and effort you put in to it. Thank you so much for the time and hard work you put into this. Even though I had looked through your photos countless times, it was even better than I expected and so delicious too. The birthday boy was delighted!